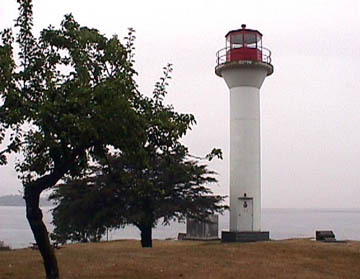 The lighthouse grounds are accessible, so the trip to Mayne Island can afford close up views of the Active Pass Lighthouse. The Island can be reached by ferry from Swartz Bay. It is also accessible through multi-island runs between the Southern Gulf Islands.